There's no denying the impact and influence music has on culture. A study by the Department of Linguistics in Alberta cited that hip-hop music has a strong influence on our every day language. 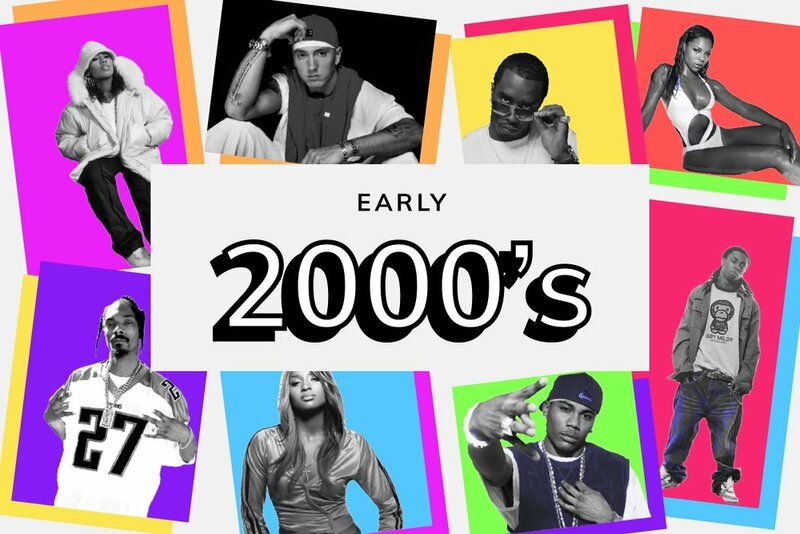 This left me wondering: how do language trends in music change over time? If we analyze lyrical data, will we be able to see these spikes and dips in particular words? Given my own minor obsession with hip-hop music, I decided to investigate a term I hear frequently in the hip-hop world: CHEDDAR. The use of the term “cheddar” in rap songs has slowly declined since the early 2000’s. This is due to the increase in other slang terms for money, such as bread, lettuce, benjamins, broccoli, dough, moolah, dead presidents, and paper. I see a ~ food ~ trend here. Random thought of the day: why did rappers stop using the term “cheese” to describe money? I feel like this trend peaked early-mid 2000’s. Back in my day, we called money “cheddar”, now it’s “bread”. Where does it end? 2025: “lets get this soufflé”. 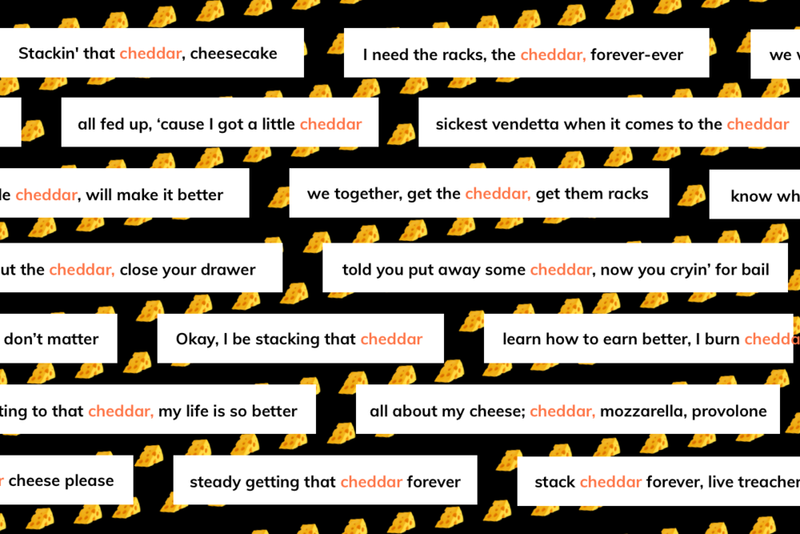 Using Genius.com, I ran a search query for the term “cheddar.” You can search via songs, artists, or lyrics. I focused on analyzing the lyrics, where the term was mentioned. I analyzed 900 songs from over 2 decades, then recorded the date each song was released. All data was captured in a good ole’ Google Sheets. The term “cheddar” is still widely used in modern day hip-hop songs. My original hypothesis was proven wrong. Turns out, rappers still love to use the “cheddar” to describe the stacks of money they have. Another theory is that Genius.com has an increased data set with newer music, so the data may is skewed.